Hawaii Native Status: Introduced. 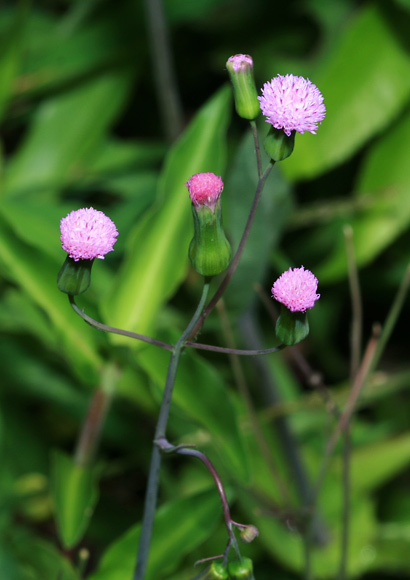 This naturalized weed and food plant is native to south Asia and the western Pacific. Description: The flower heads are small, narrowly urn-shaped to bell-shaped, and have light pink to lavender disks and no rays. 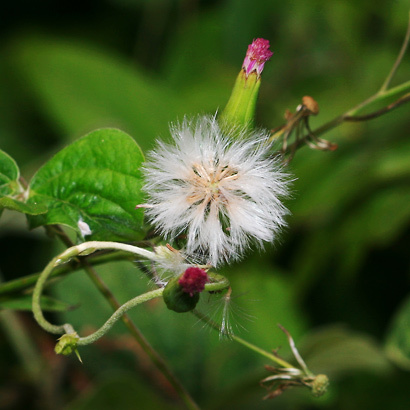 The flowers are followed by seed heads with white, fluffy, wind-borne seeds. The leaves are green, alternate, and mainly found on the stems. The lower leaves have narrowly winged petioles and fine, blunt teeth or deep, rounded, pinnate lobes and are larger and broadly triangular, rounded, or egg-shaped. The upper leaves clasp the stems and are smaller, sessile, and sometimes coarsely toothed. The stems are weak, erect, branched, and hairless to sparsely hairy. 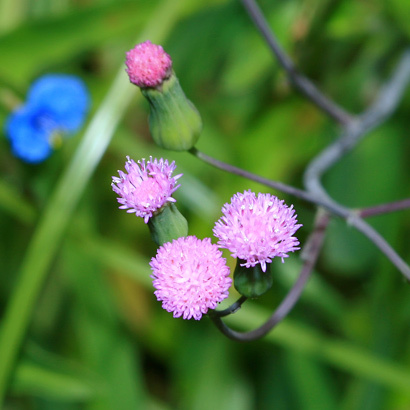 Here in Hawaii, Lilac Tasselflower grows in sunny, open, grassy, disturbed areas at lower elevations. The similar Florida Tasselflower (Emilia fosbergii) has red to darker pink flowers and hairy lower stems, while Scarlet Tasselflower (Emilia coccinea) has larger, showier, orange-red flowers and hairy lower stems. 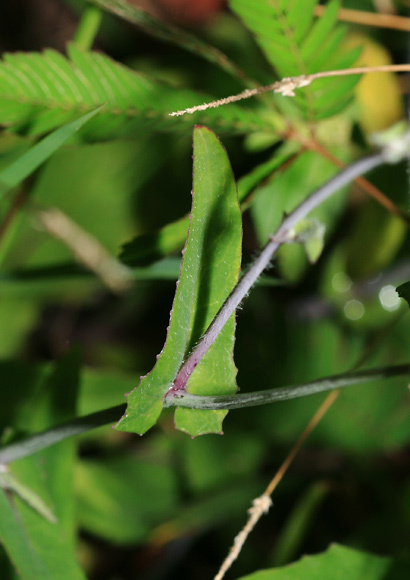 Edible – The young leaves (those before the plant flowers) are edible either raw or cooked.